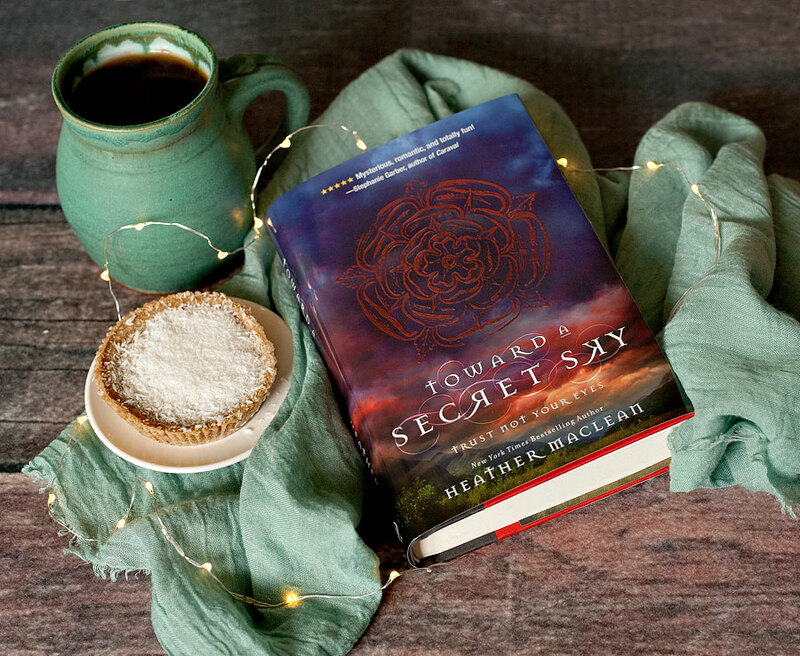 Last month I received a free copy of Toward a Secret Sky by Heather Maclean from Blink YA Books to review, via my participation in the Z Blog Squad over at Zonderkidz. The story is about a girl named Maren who finds herself in Scotland after her Mom’s unexpected death. She quickly discovers that angels and demons are real, danger is afoot, and she’s caught up in the middle of it all thanks to a mysterious journal her Mom left behind. Unfortunately the voice didn’t quite grab me, and I had a lot of trouble getting into it. I’m finally over halfway through, but I’m still afraid this book might eventually end up on my “did not finish” pile. Despite the fact that Blink only publishes clean YA, so the romance doesn’t ever progress beyond kissing, I feel like there’s a ton of “Oh wow he’s so hunky I think I might faint” moments (that’s not an actual quote, just the basic gist of how the romance feels to me). There’s also plenty of “He loves me, he loves me not” drama, which isn’t really my thing. It does feel a little like a less scary Frank Peretti book for younger readers at times, and I do love Frank Peretti. I suppose I might recommend this book for conservative readers who want to be able to dip their toes into a romantic thriller without the risk of scandalous bedroom scenes. That said, I feel like the amount of focus Maren spends on being infatuated with guys is a tad on the ridiculous side. Also, all of a sudden halfway through the book Maren thinks “damn” which I didn’t expect since books published by Blink supposedly don’t have any cursing. Not a big deal at all, just something someone expecting a 100% clean book might frown about. Of course everyone’s taste in books is different and what feels predictable and not believable to me may be absolutely perfect for someone else, so if the premise sounds intriguing then maybe download a free sample of the eBook or see if it’s at your local library so you can check it out.